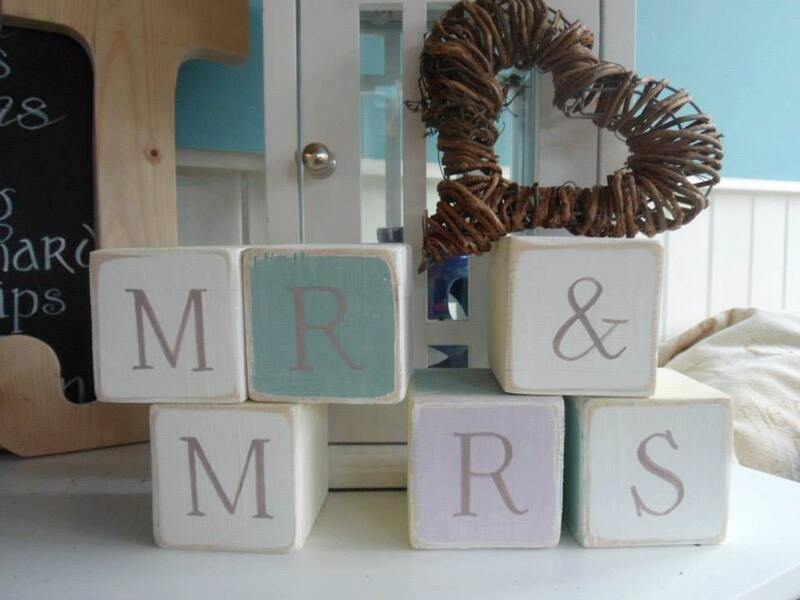 Mr and Mrs wood blocks Wedding prop decor, shabby chic wood letter building blocks. Nursery decor, Baby shower, newborn or christening gift. 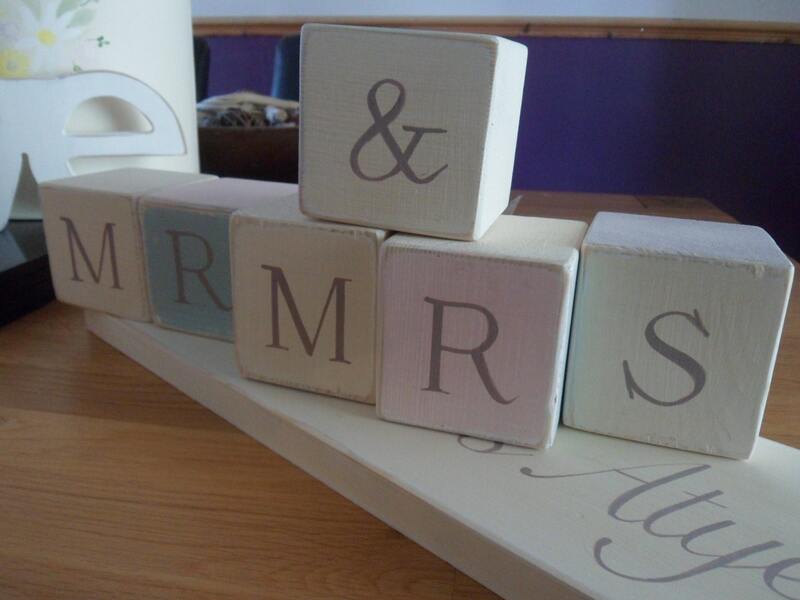 Our personalised wooden keepsake letter building blocks are the perfect addition to any wedding, they look fabulous on the top table in front of the bride and groom or on the cake table. 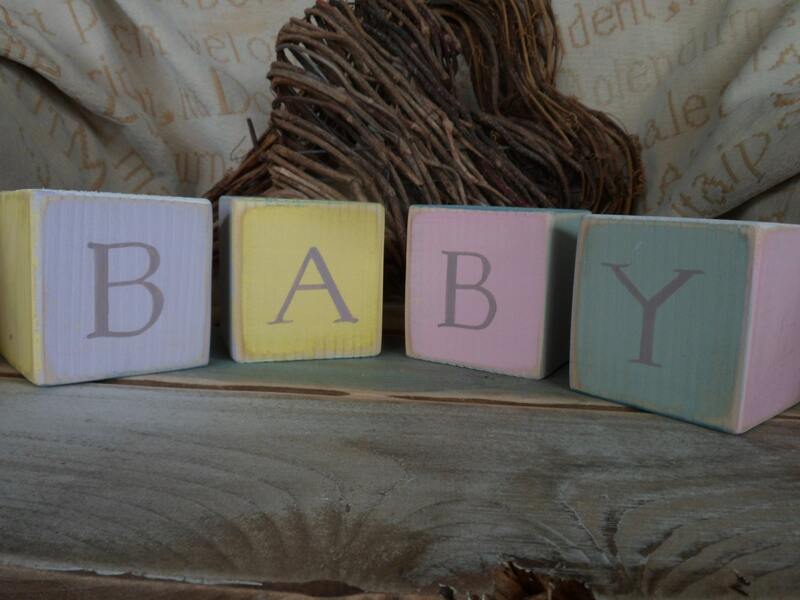 Made is a shabby chic style, painted in pretty pastel colours and sanded back to reveal the wood grain you can make a lasting impression with these thoughtful personalised keepsake building blocks. We aim to compliment your wedding theme and colour scheme, so please message us any thought or ideas you may have and we can assist in any way. Alternatively they make a fabulous addition to any nursery and an extra special personalised gift. 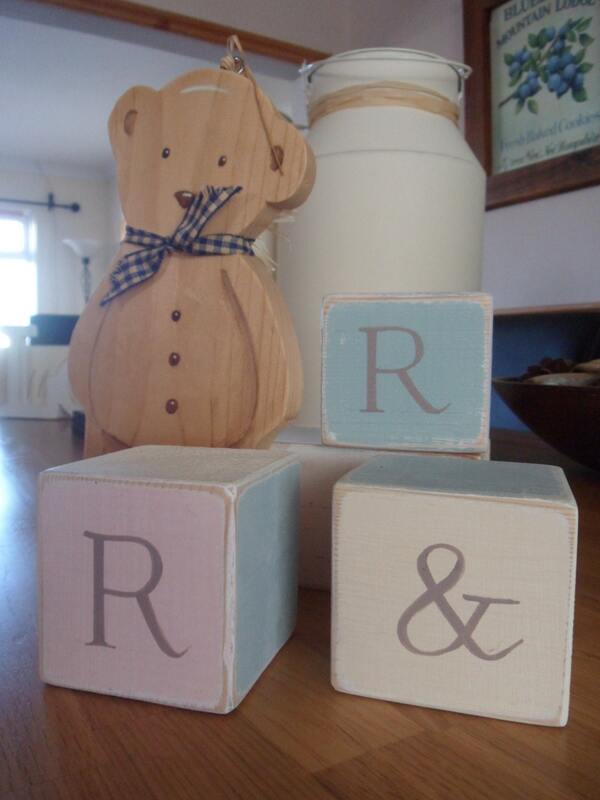 These wonderful keepsake building blocks are perfect as a gift for a new born baby, christening or birthday gift. Add them to a Theodore bear and you have created a fabulous bespoke keepsake gift that will be cherished for many years to come. 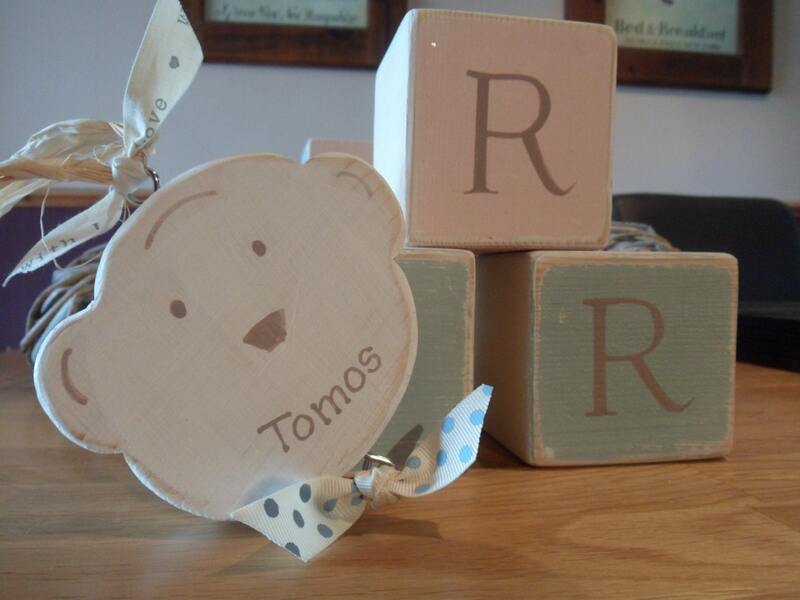 Spell out your name at the time of ordering and you can also purchase a DOB or Christening date block. *These blocks are for DECORATION ONLY and will not with-stand heavy play. *Items are handmade and may have slight irregularities to them.